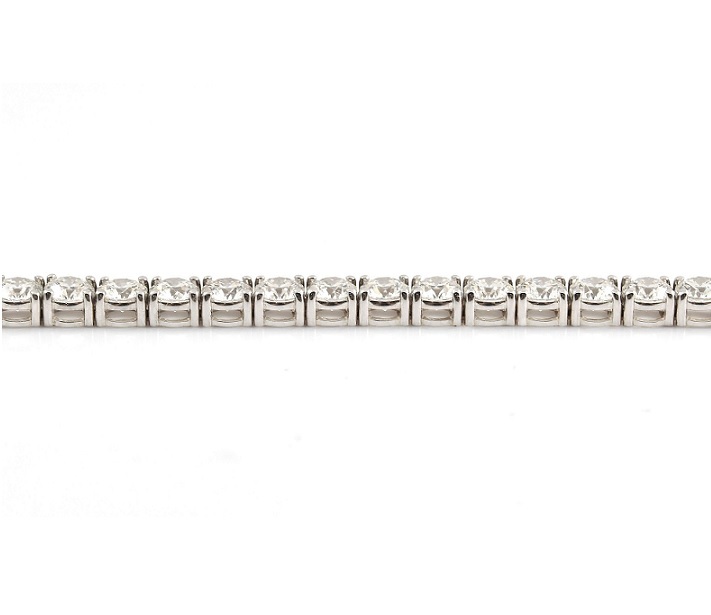 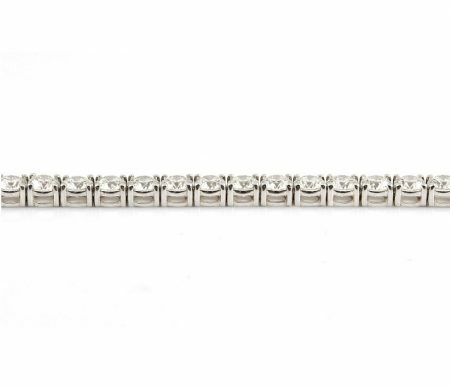 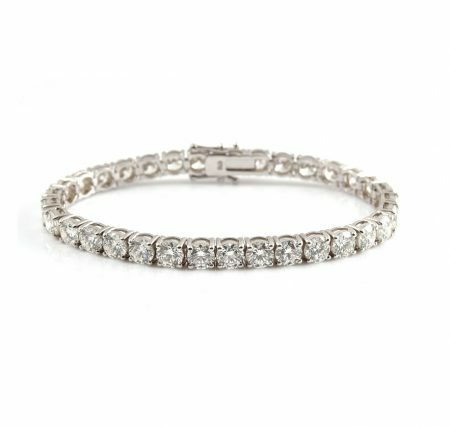 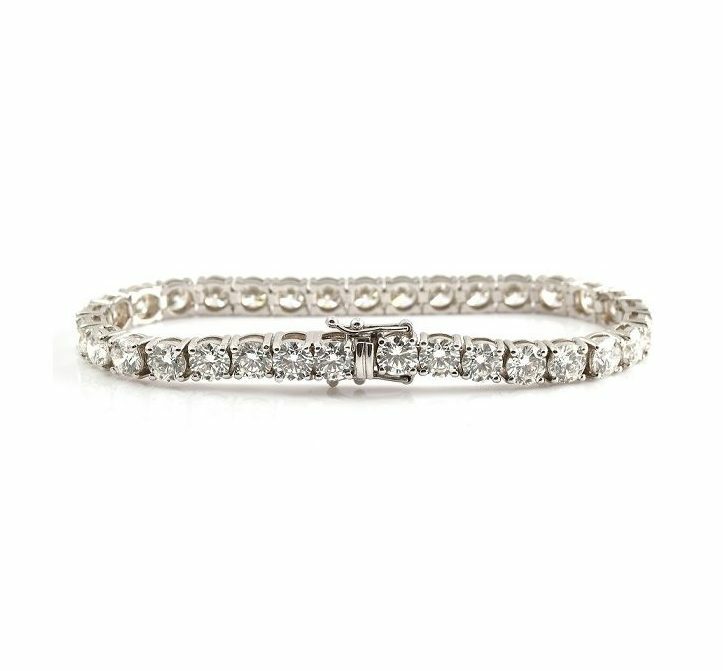 An 18K white gold diamond tennis bracelet featuring 33 claw set round brilliant cut diamonds in four claw baskets and a diamond set clasp. 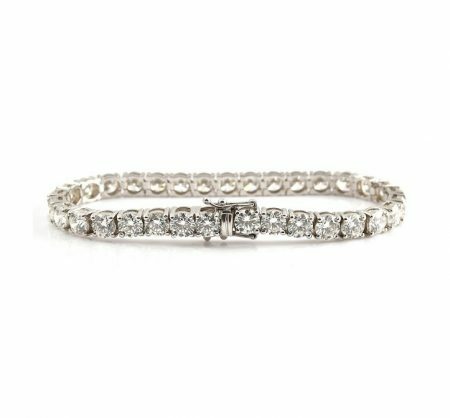 Looking for a pair of diamond earrings to add to your collection? View our range here.